The MasterVision Silver Easy-Clean Dry Erase Board includes wall-mounting hardware and screw caps for a simple and seamless installation in your office, conference room or classroom. It is suitable for moderate use, and double-sided, allowing you to extend the life of the board with a quick flip. It is bordered by a slim, anodized aluminum frame, and comes in size ranging from 24” x 18” to 48” x 96”. Check out this video to discover the features of this wall-mounted whiteboard from MasterVision! Easy to clean and double-sided, this whiteboard provides a simple communication solution for your office and classroom activities. 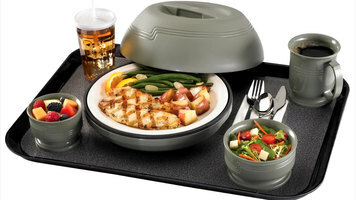 This Cambro system is designed to increase patient satisfaction at your healthcare facility. Use this system in combination with a Cambro temperature-retention systems for optimal performance. 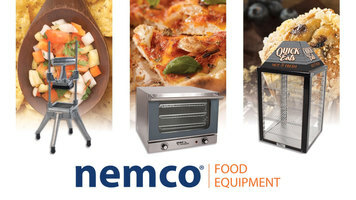 See how Nemco's Global Solutions reaches out to provide the best and newest equipment to the food service industry. Reaching all corners of the globe, Global Solutions is a way to ensure that the best equipment is being produced and provided to every customer. 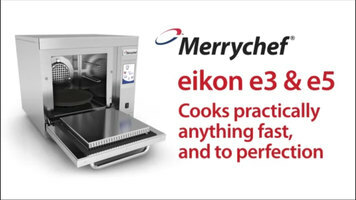 Learn about the features and benefits of the Merrychef eikon e3 and e5 combination ovens in this informative video.